Southern Cross Swinging Fender. 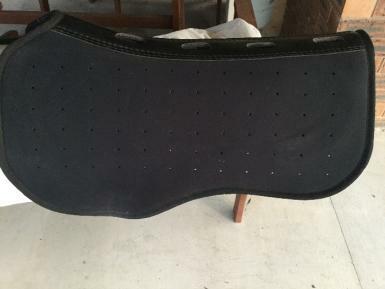 16 outer seat. So suits about a size 10/12 female rider or smallish male. 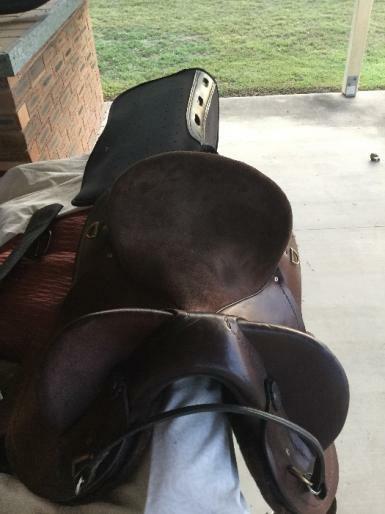 Great condition . Only had about 10 rides .Only 1yr old. Hardly any marks. Has a rough out seat. Great condition. 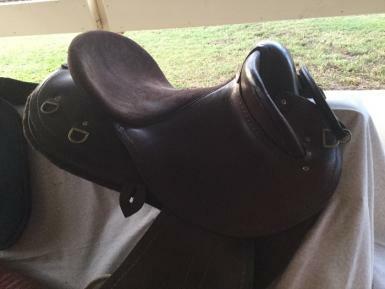 Well made Australian Made Saddle. 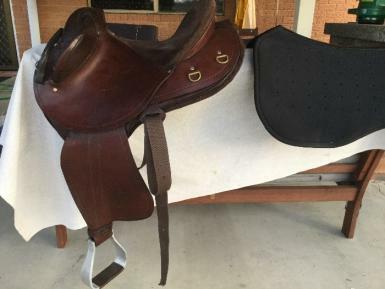 Comes with Saddle Pad from Southern Cross also girth and zip up cover included. 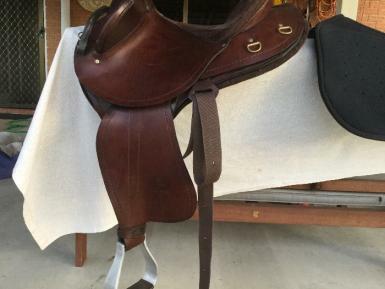 Good value on a saddle that will last a lifetime. Ph 0457186112.